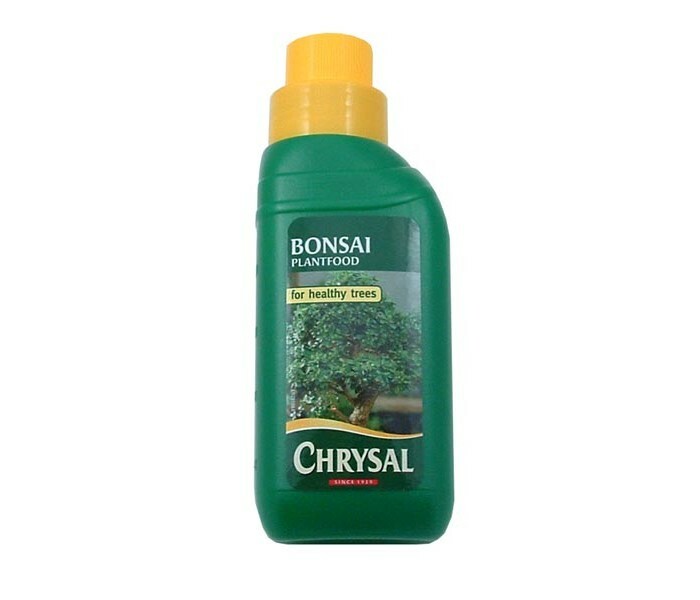 250ml bottle, NPK: 4-6-6, Chrysal Bonsai specific Feed. 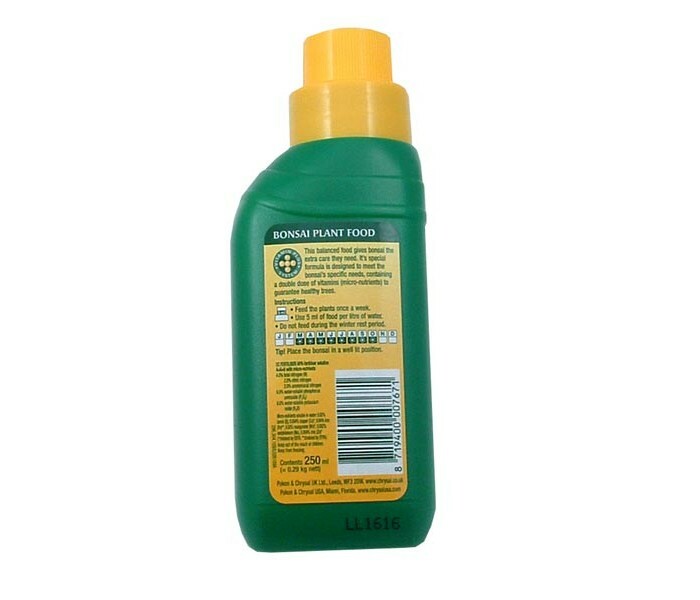 Probably the most popular liquid bonsai feed in Britain. Buy 5 for the price of 4. Probably the most popular bonsai feed in Britain. 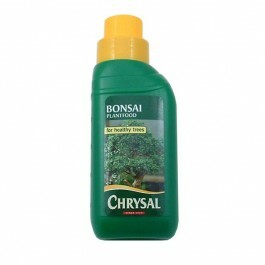 Easy to use, formulated for bonsai trees, widely available and cheap. Feeding requirements of bonsai trees vary. Only feed when your tree is actively growing. A general guide is to feed once a week from late spring to mid-autumn and once a month at other times or year. Some growers feed with a very weak solution at every watering during the growing season. Make sure you recognise when your tree needs feeding and don't feed too much - Over feeding causes more serious problems than under feeding so use with caution and don't exceed the recommended usage amounts on the bottle. Buy 5 bottles for the price of 4.